Entry by Kazuyo on Fri Aug 30 15:48:05 2013. Twilight Snow, VOCALOID, Pirori Miku, Hatsune Miku, Hachune Miku, Aimaina, Mikudayou, Shiteyanyo, Mushroom Mother, Magnet, Puzzle (VOCALOID), The Beast. 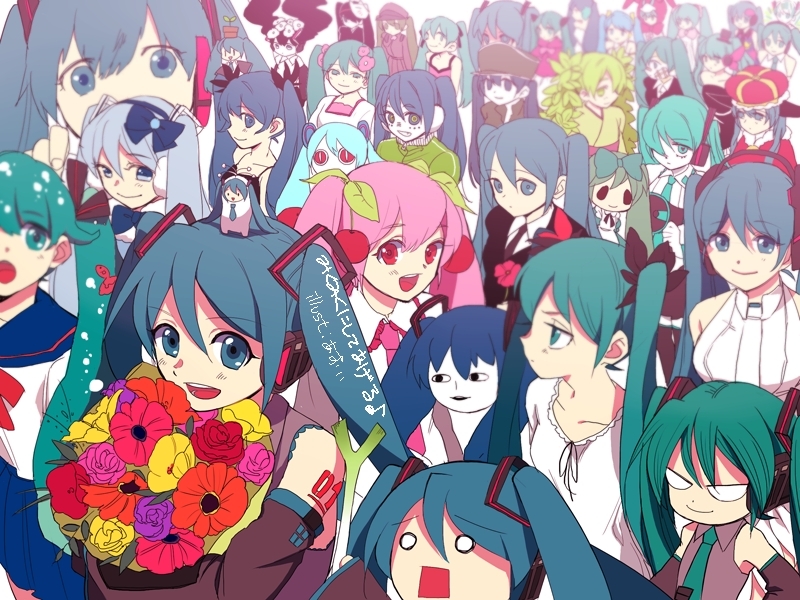 Isn't it Puzzle Miku in the top right corner ? Who is that Miku with leaves hair?